Our goal is to connect people with the best local experts. We scored plumbers on more than 25 variables across five categories, and analysed the results to give you a hand-picked list of the best plumbers in Escondido, CA. Becker and Son Plumbing, Inc. has served Valley Center and the Pauma Valley area for more than 40 years. It is family owned and operated, employing only knowledgeable, professional, well-trained plumbers who are committed to doing jobs correctly the first time. The technicians at Becker and Son Plumbing, Inc. work on both new construction and remodeling projects, installing tankless water heaters, water heaters, water lines, sewer lines, well pumps, water conditioners, water filters, booster pumps, boilers, radiators, and gas lines. They also install appliances, including gas stoves, clothes dryers, dishwashers, and ice makers. Clients speak highly of the technicians' punctual, friendly, quick, and thorough services. Family Plumbing in Escondido, CA is a husband-and-wife plumbing business. Phil and Tracy work together to bring low-cost, high-quality work to customer's homes. The couple has decades of experience in plumbing and set labor prices for many of its services, such as faucet installation, draining of main lines, clearing clogged drains, toilet resets, and dishwasher installation. For other services, they offer free estimates. Family Plumbing offers a 10 percent discount to senior citizens, past and present military members, and first responders. Customers praise the couple for their low prices, hard work ethic, efficiency, and commitment to doing the job correctly. Lambert Plumbing is a professional plumbing business located in San Diego, California where it serves customers of the local area with general and specialized plumbing services. The mission at Lambert Plumbing is to provide its customers with the highest quality plumbing services available to them by using the best equipment and knowledge. With extensive training and a thorough background of experience, Lambert Plumbing is more than capable of providing knowledgeable plumbing services that demonstrate techniques that are praised by other professionals in the industry. Some of the services that the contractor offers include commercial or residential plumbing installation, repair, or diagnostics. To take advantage of the services that Lambert Plumbing has to offer, clients can schedule a consultation or appointment with a service representative at their earliest convenience to discuss details related to a certain project or product. Mike Carroll Plumbing Inc. opened in 1993 and possesses over 33 years of experience in the industry helping people resolve their plumbing problems. The company takes pride in its workmanship, honesty, integrity, and quality and currently serves residents of San Diego County and the nearby region. Their employees remain state licensed and insured for their clients’ protection and offer free estimates to individuals who contact the company and explain the size and scope of their project. 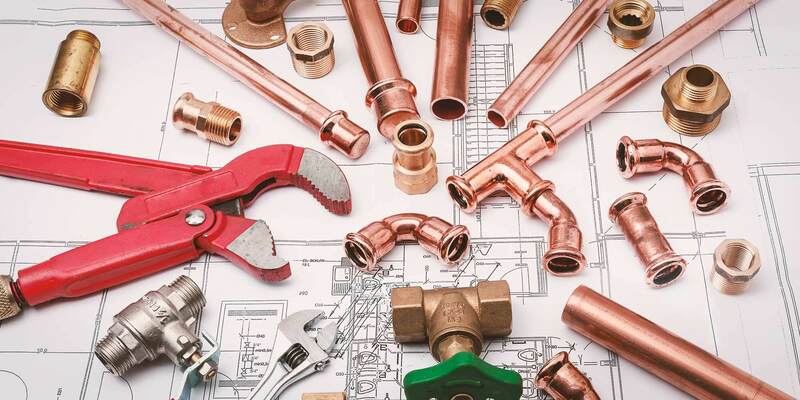 Mike Carroll Plumbing Inc. offers a variety of straightforward and complex plumbing procedures, including commercial piping and repairs, backflow testing and installations, electronic leak detection and slab leak detection, and bath and kitchen remodeling. Royal Plumbing is a plumber serving commercial and residential properties in the Escondida, California, area. They are also capable of working with new construction projects. With three decades of experience in the industry, the company remains family owned and operated and possesses all necessary certifications, bonds, and licenses. Systems the company frequently works with include tankless water heaters, water filtration systems, and sewer lines. Their installation, repair, and maintenance services are designed to combat against leaks, damage, and other issues that arise from the general use of plumbing fixtures. Past clients praise the company for their honest service and professional work ethic. Saber Plumbing is one of the foremost contractors in Escondido and the rest of San Diego County. The firm has been part of Southern California’s vibrant industry for more than 50 years, and it is a family-run enterprise that continues the founder’s legacy of excellence and fairness to this day. The company works in commercial settings, such as hotels, car dealerships, administrative offices, and shopping malls, and it also handles residential projects of varying types, including complete installations of systems high-rise buildings and minor repairs of fixtures in single-family dwellings. The team consists of reliable, competent, and well-equipped technicians, who have passed stringent character and employment verifications, and it offers respect for the property occupants and their belongings. Saber Plumbing gives a 100 percent satisfaction guarantee, and it has a 24/7 emergency action unit. Town & Country Plumbing is a family-owned and operated business that has been serving residential and commercial customers for more than 46 years. Areas the business serves include Del Mar, Oceanside, Vista, Solana Beach, Carlsbad, Encinitas, Rancho Pensquitos, Valley Center, Rancho Bernardo, Scripps Ranch, Fallbrook, Poway, Rancho Santa Fe, Escondido, Ramona, and San Marcos. Services Town & Country Plumbing provides include sewer line repair, sewer cameras, toilet services, drain cleaning, faucet services, slab leak repairs, garbage disposals, shut-off valves, re-piping, ceiling leak repairs, and pressure regulators. Town & Country Plumbing provides same-day service. The business is accredited by the Better Business Bureau and has an A+ rating. Customers appreciate their professionalism, prices, punctuality, responsiveness, and customer service.